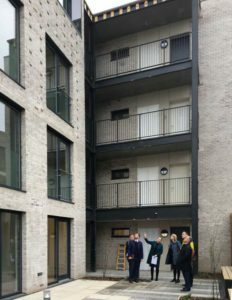 Twenty five new one-bedroom flats on land made available by Lambeth council’s restructuring of its many office sites – the “Your New Town Hall” project – have been completed for sale to buyers who already live or work in the borough. The council said the average household income of the buyers is £44,000. 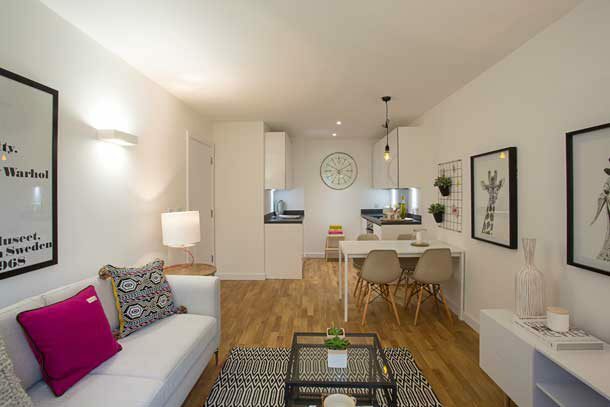 The developer, Pocket, which specialises in building “pocket-sized” homes, says it sells at a 20 to 30 per cent discount on the open market rate. The homes, which are the first to be completed in the restructuring, are in Wynne Road off Brixton Road north of the town centre. 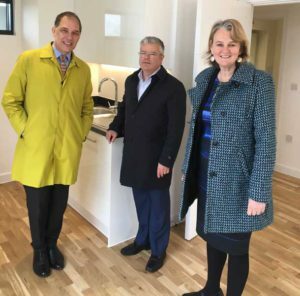 Council leader Lib Peck said the homes were “part of a solution to meeting the demand for housing across the borough and contribute to the Your New Town Hall project’s 47 per cent affordable housing across the scheme. Pocket was backed in 2013 by a 10-year-loan from the Greater London Authority to buy land to build affordable units for London. The company says it is working with more than half of the capital’s local authorities to deliver affordable housing and plans to complete 4,000 of them by 2023. Pocket’s CEO Marc Vlessing joined Lib Peck and council deputy leader Paul McGlone at the site on today (March 29). 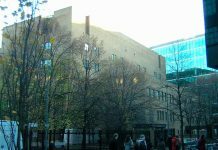 The council says the Your New Town Hall scheme will reduce Lambeth council’s core office buildings from 14 to two, saving at least £4.5 million a year. The scheme will also create 219 new homes of which 47 will be “affordable” including the Pocket homes on Wynne Road. Pocket says its criteria for selling its homes are: You earn less than £90k; you live or work in the borough where it is sited; and you are a first-time buyer. “We want to help those trying to get on the ladder, not investors trying to expand their property portfolio,” it says. Can we ask what the MEDIAN income is please? A more massaged promotional spin piece I’ve yet to see. All those details about average earnings and all that guff doesn’t actually state how much each ‘pocket’ hutch is going for does it!